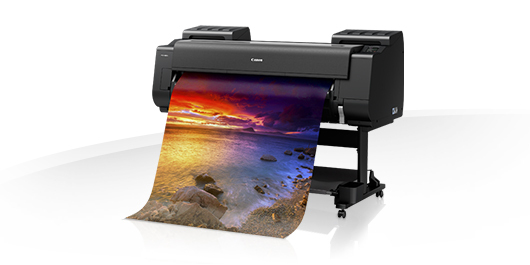 We just happen to think that the Canon Pro is one of the best wide-format inkjet water-based printer series yet. This cleverly thought-through range of machines can meet the high-quality standards of photographers, artists and design specialists as well as meeting the production speed needed for quick turn around posters, POS, window graphics and signage. One of our favourite features is its capacity to print edge-to-edge to perfection with no need to trim prints! 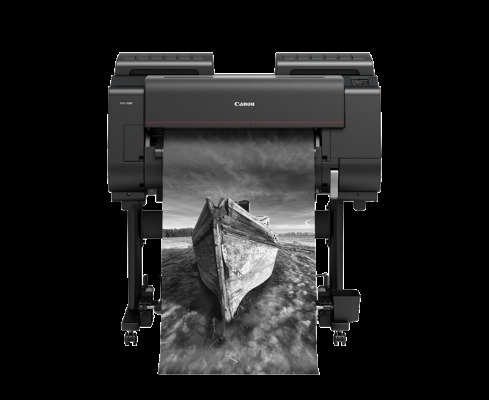 Canon has done a great job and whilst they haven't re-invented the wheel, they have certainly created a new generation of inkjet technology that performs brilliantly. The Canon Pro Series has only the one printhead that has an impressive 18,432 nozzles with integrated anti-clogging technology. This ensures that your printer maintains optimum-quality output, and its wider-width head has been engineered to meet the output speeds needed in this “I want it and need it now” marketplace. We also give 5 stars to the multi-functional roll system that allows you to easily switch between 2 different media or, with the push of a button, opt to use the second roller as a take-up unit when printing longer runs. Loading the Canon Pros takes only a few seconds and this is definitely a bonus in saving time and being as efficient as you can be – especially when you consider how tricky some machines can be. Papergraphics keeps a full stock of all inks and these are available in 160ml, 330ml and 700ml, so no more money sitting in the machine with colours you don't often use plus, there is the flexibility to mix and match cartridge sizes for colours as and when you need them. Cartridges can be changed even when the machine is in full flow. 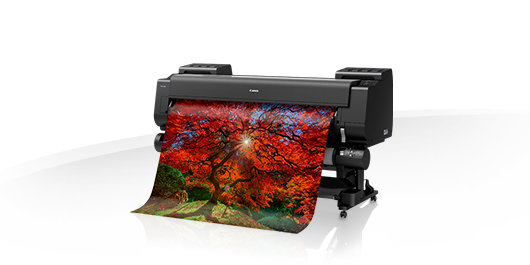 Smart ink thinking from Canon. You'll find the manufacturer's marketing material at the bottom of this page; including datasheets, videos and photos — however, if you’d like an independent expert view, need to know more about the Canon PRO Series or want us to set up a demonstration for you — please give us a call. Compact design, using up less floor space. Believe it or not, the disruptive price-point actually makes people think it's not as good as more expensive alternatives .. It's not true… !! !